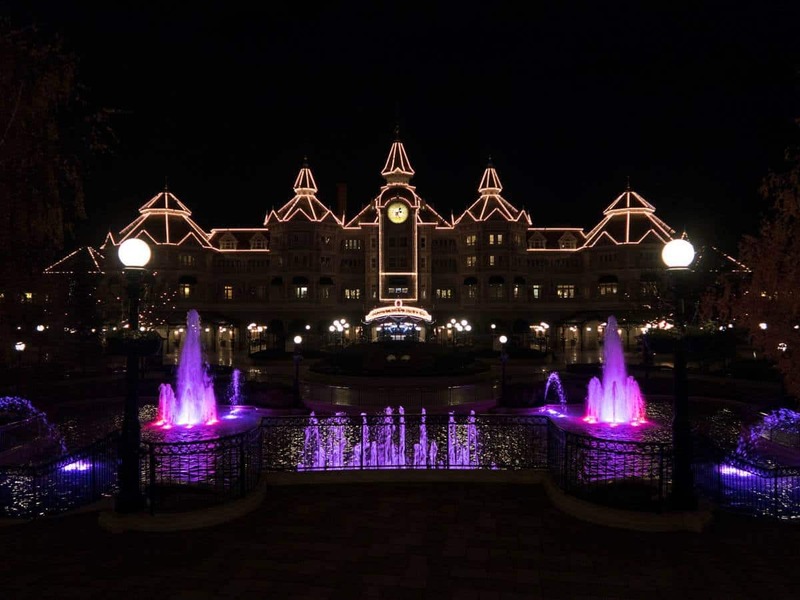 With Myla’s and my upcoming visit to Disneyland Paris in January, I asked fellow travel bloggers for their best tips for Disneyland Paris as well as their recommendation for Disneyland Paris hotels. I’ve read numerous posts on making the most of your Disneyland Paris holidays, but what better way to get the best tips on a stress free trip to Disneyland, then ask fellow bloggers who have been there themselves. 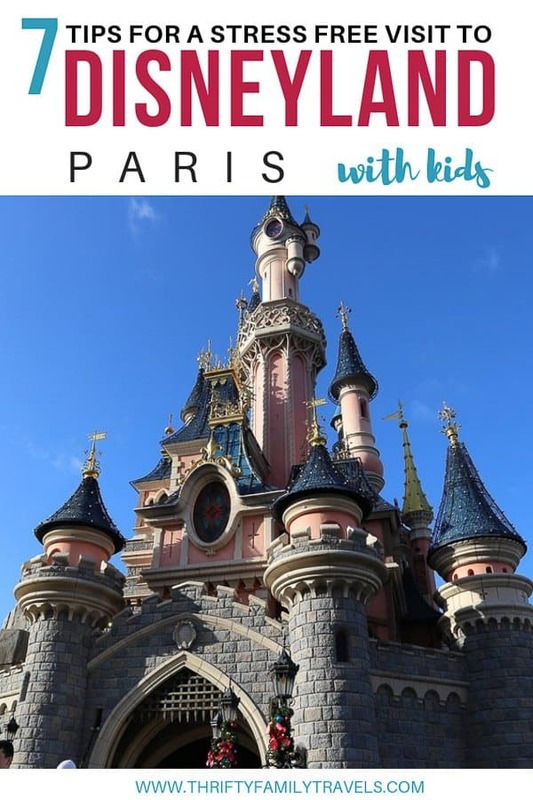 If you’re also in their early stages of planning a trip to Disneyland Park Paris, then you’ll love these 7 tips on visiting the world famous theme park as well as the 7 tips on the best Disney Paris hotels for families. Check out these 7 top tips from travel bloggers to ensure you have a stress free day at Disneyland Paris. To get cheap Disneyland Paris tickets, your best best is to buy direct from Disney. 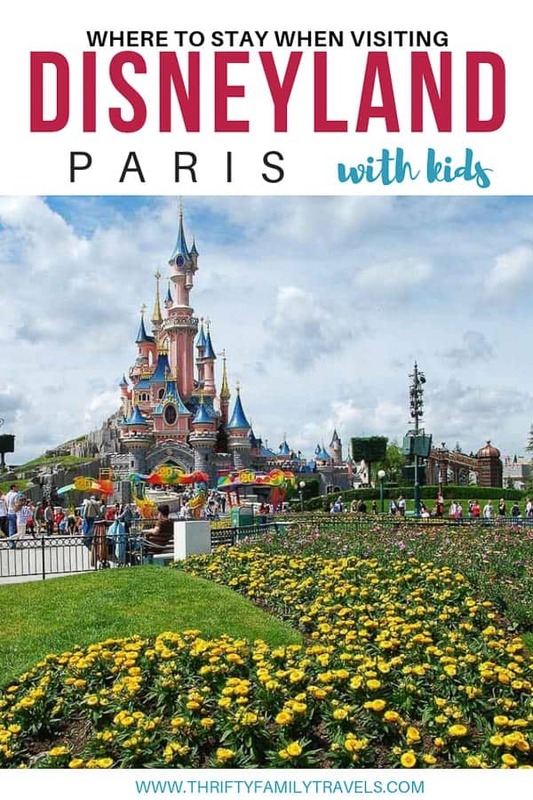 Your travel agent or hotel may offer Disneyland packages including transport, but it is easy and cheap to get there from central Paris (see transportation tips below). When we arrived in Paris we’d been travelling in Europe for a couple of weeks and the kids’ enthusiasm for more cultured sights was running low. I saw the Disneyland Paris brochure at the hotel and thought we could use some familiarity and fun, but the Disneyland Paris park tickets were about EUR 100 per person for tickets and transport (about A$165). I then jumped online and checked the Disney Paris tickets direct with Disney. It must have been a quiet time of year (September) because they were having an amazingly cheap promotion. After trying the US, UK and French Disney sites to compare ticket prices and exchange rates, I managed to snaffle tickets for only GBP 32 per person (about A$60). Reducing the cost meant that we didn’t feel pressured to cram the day with activities to get value for money, we relaxed and took our time and had a wonderful day out. 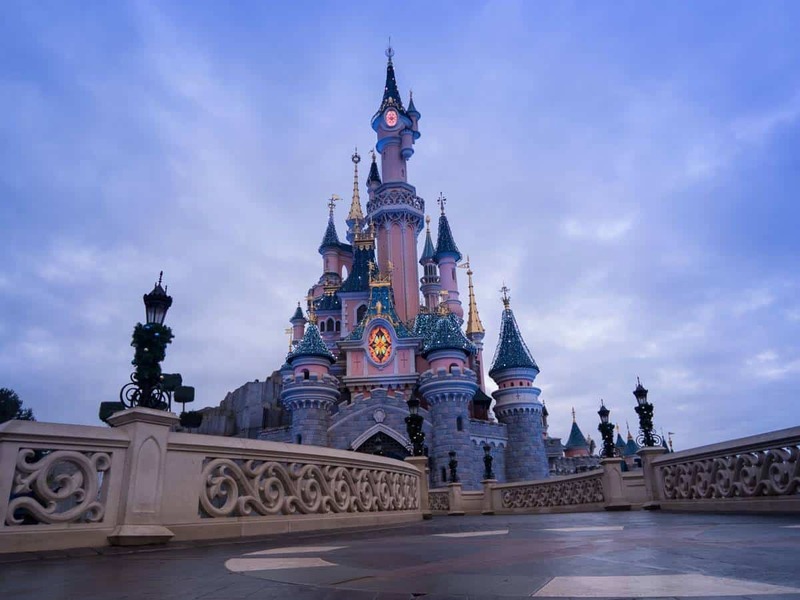 Note from Melissa: I’d also recommend checking Klook to buy Disneyland Paris tickets, as at the time of publishing I have found them to be cheapest for when we will be visiting in January 2019. If you are a type A planner like me, or you just want to make sure you maximize your time while in the parks, then having a FastPass strategy is key! FastPasses are included in your tickets and are at no additional cost. You’ll use these entry tickets to scan and receive FastPasses at various rides located throughout the park. Since it is a ticket based system, anyone can grab all the tickets and get a FastPass for each person (no need for everyone to be there in person). Make a plan on which rides are the most important and then figure out what is the most popular. If you child is over 100cm or 39”, then here is a list of which Fastpasses to grab at Disneyland Paris and in which order: Big Thunder Mountain, Buzz Lightyear or Star Tours and then Pinocchio or Small World. While waiting for your Fastpass times to open, ride the rides in the same area. For example: check out Phantom Manor and Indiana Jones which you wait for your Big Thunder Mountain FastPass time to open. Here are my Disneyland paris FastPass tips for Walt Disney Studios Park: Grab a FastPass for either the Tower of Terror or Ratatouille. Then once you ride one of the rides, grab a FastPass for the other ride. Lastly, grab a FastPass for the Rock N’ Roller Coaster. This is a favorite, especially if you have older kids, if not, take turns as the adults. More tips: You can only pull one FastPass at a time, however, once the time slow opens (for example 11:00-11:30), you can technically pull another FastPass starting at 11:00am. This only works if the two rides are located near each other. If there is one thing years of traipsing worldwide theme parks with three children has taught me is that they are never too old to need a stroller! We travel light these days, bu theme parks are a whole different ball-game. 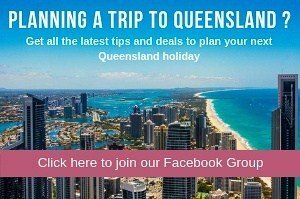 They are a super fun, interactive day of adventure, but they can be overwhelming, children can tire quickly from the excitement and there is always an awful lot of walking involved. At Disneyland Paris you have a couple options. Bring your own, or hire one at the parks. I have always brought my own – it operates as a dumping ground as much as a resting sport of tired feet. The rental strollers can only be used within the parks, which is no good when it comes to home time, when children are the most tired and you need some way to get them back to the train or bus, and then the hotel room. If you have older children who no longer need a stroller all the time (your 4 to 7 age group), choose the rental option. For a 20 Euro fee (plus security deposit), you can hire a “pushchair” from the rental shop located at Town Square Terrace in Disneyland Park, or at Studio Services in Walt Disney Studios. They are hardly the most comfortable, but will be welcomed by tired legs. Note that during peak times, stroller rentals are known to run out. You can’t reserve in advance so if you do plan on hiring one, make this your first stop – there’s no changing your mind halfway through the day! There are plenty of designated stroller parking spaces across the park. Just remember to have something distinctive about yours so you can spot it when you return! And common sense says never leave anything valuable in them; we leave sweaters, bottles etc but never whole bags or merchandise purchases. Some people also bring locks for the wheels (this way Cast Members can still lift and move if need be, but no one can remove the whole stroller). Are you looking for a lightweight stroller for travel? 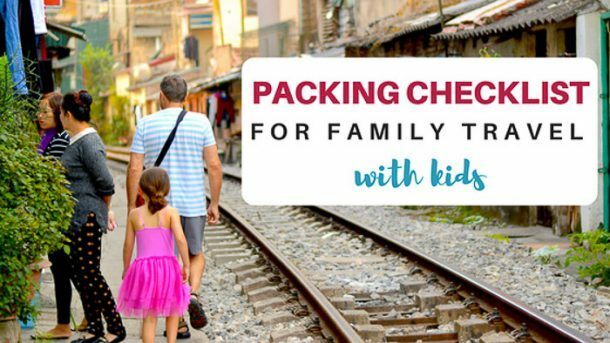 Click here to read my full guide on choosing the best travel stroller. I recommend that you plan the Disneyland Paris restaurants you intend to visit before arriving. By planning specific restaurants, as well as your menu choice, you won’t waste valuable time and energy standing around saying “where do you want to eat” followed by “I don’t know where do you want to eat?” Have a rough idea of what time you want to stop to eat, thus beating the crowds and the hunger pangs. If you are planning advanced dining reservations, even better. Schedule your touring plan around the restaurants and shows, so you are not constantly crossing the parks. Euro Disney is located 30km East of Paris and 37km South East of Charles de Gaulle Airport. Because Euro Disney is a popular destination among tourists, there are many transportation options to reach this amusement park. The best way to go to Euro Disney is by train (RER A, red line). Not all the RER A trains go to Euro Disney, take the trains which go to Marne La Vallée Chessy only! The train ride is 43 minutes and it costs around 6€. Looking for options for transportation from Paris Charles de Gaulle? The best and fastest way to go to Euro Disney is by TGV, the French fast train. The train station is inside the airport and for around 28€ you can reach Euro Disney in only 12 minutes, which is great! Also, there is a Bus Service leaving from Terminal 2E for 20€ (1hr 40) and many companies propose a shuttle service for 35€. However, in both cases, you have to deal with the traffic in Paris which is terrible. 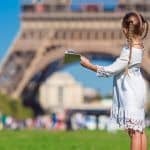 Note from Melissa: We have Eurail Global passes for travelling around Europe, up to 2 children under 11 travel free with each adult. These passes also include travel on the trains in Paris. 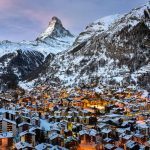 Click here to check the cost of Eurail passes. If you are staying in a Disney associated hotel, then as part of your stay you will get what is known as Extra Magic Time, or formerly Magic Hours. This is exclusively for those saying in Disney hotels and it gives you early access to the parks for up to two hours before they are open to other visitors at 10 am. The amount of time you get depends on the time of year you visit. During summer you get early access from 8 am, during winter it is generally 8.30 am. If you have this option, use it. 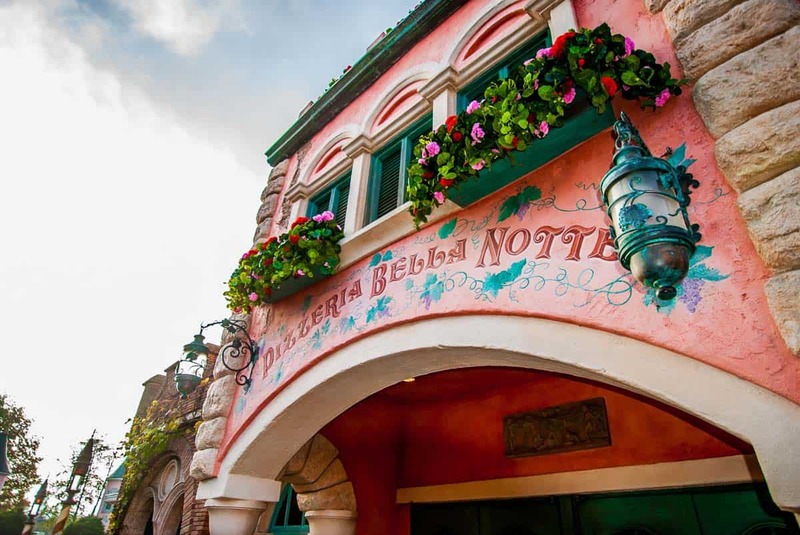 You can ride some of the most popular rides such as Peter Pan and Ratatouille and avoid the long queues during the day. You can also reduce your wait time for an official Meet and Greet with Mickey Mouse. Note that only Fantasyland in the Disney park is open during this time, but you can do most of the rides in this area, freeing you up for other parts of the park. Getting access to the park also gives you the chance to get a picture of the castle without anyone in front of it. And when you are nearly 10 am, you can queue up to enter the other areas and be one of the first on other rides in the park. When travelling with toddlers to any Disney around the word, put them in nappies even when they are potty trained! Some queues for rides can be excessively long and you don’t want to get near the front only to lose your place because someone suddenly needs a wee! Also with all the excitement of parades and character meetings it is very easy for littles to get over excited and have an accident! 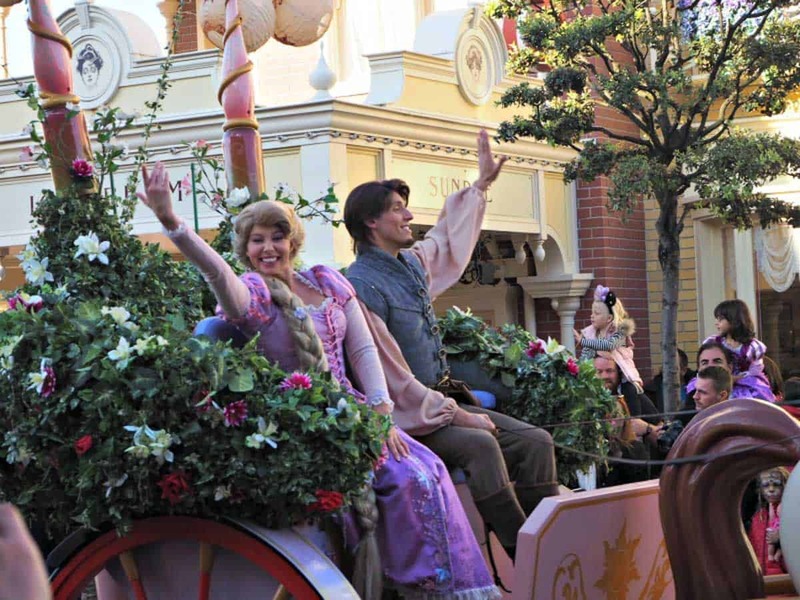 Travelling with little kids one of the biggest Disney highlights has to be the Disneyland Paris parade – day or night! So be sure that littles have a good clear view of the parade be sure to arrive on the parade route early to get a good position! Be sure not to get a position inside a curve on the road as you won’t be able to see the parade coming towards you. With so many Disneyland Paris hotels to choose from, it can be confusing to know which one to book. Check out these 7 recommendations from travel bloggers as to which are the best Disneyland Paris hotels for families. The Disneyland Hotel at the gates of the Disney park in Paris is the best place to stay when visiting with kids. Being at the gates to the Disney park means you can be one of the first people through the gates when it opens. There is also no need for jostling with other families to get on a shuttle bus. And if you forget anything, it’s so quick and easy to hop back to your room to get whatever it is. The location of this hotel in relation to the parks is what makes it stand out. However, be warned, it’s the hotel with the biggest price tag when it comes to staying in a Disney associated hotel. The décor of the hotel is becoming a little tired but fear not. It is closing for a whole year in the next few years for refurbishment and we can only imagine what it will look like when it’s finished. Click here to check the latest prices for the Disneyland Hotel. The Sequoia Lodge is themed to look like one of the rustic National Parks lodges that you see in the American West, and the cabin-style construction blended perfectly with a warm fireplace at the center of the lobby. We had one of the Golden Forest rooms and were treated to a view of both parks the first morning we were there. You can’t do any better than that! Our room was loosely Bambi themed, with some printed still and a wallpaper border, but other than that it didn’t have any over-the-top Disney elements. My one complaint is that there were hardly any outlets in the room, and one of them was controlled by the light switch making it unusable for charging overnight, so if you plan on staying here, bring a power strip. All of the rooms at the Sequoia Lodge include free breakfast, but as Golden Forest guests, we got access to a special breakfast room with more substantial food like scrambled eggs and bacon. One of the other nice perks of staying at the hotel is the gorgeous indoor pool and hot tub. It even has a small waterslide that starts atop some fake boulders. Relaxing in the hot tub is a great way to recharge after a long day on your feet in the parks, but the only downside is that you have to swim through the regular pool to get to it, which felt awfully chilly after some time in the hot water. 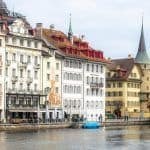 It took us approximately ten minutes on foot to get to the parks from the hotel, and there is also a shuttle that can drop you off at the train station if needed. Click here to check the latest prices for the Sequoia Lodge. 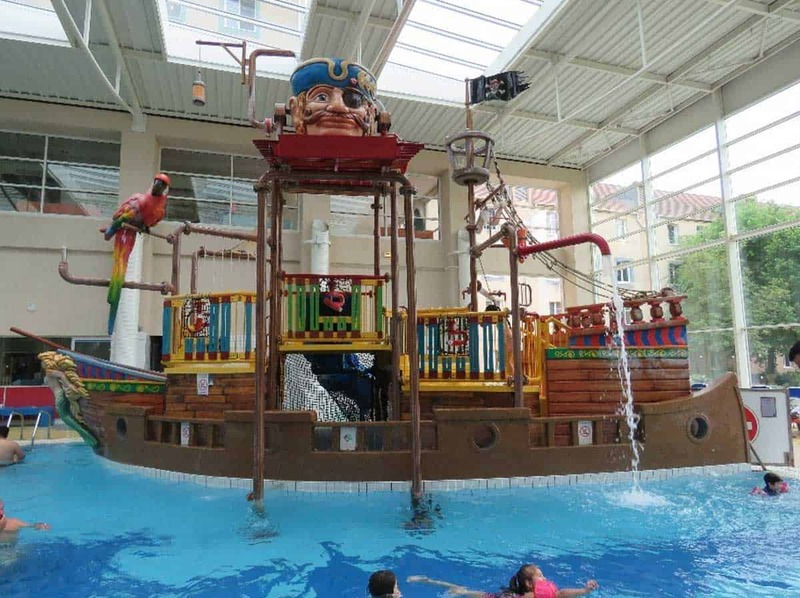 The Explorers Hotel is the perfect choice if you have younger kids and love amenities such as a huge pirate indoor waterpark (complete with multiple slides, bucket dump and water shooters), indoor climbing zone, outdoor pirate ship to explore, multiple restaurants to choose from and bunk beds for the kids in all of their standard family rooms. They also feature a 6D cinema, arcade for the older kids and pizza café if you’d rather keep things simple. It is a short 10 minute FREE shuttle ride to Disneyland Paris, making it a great option for families that want to save a bit on money, but still enjoy all the Disney has to offer. We also picked this hotel for its free parking and included buffet breakfast. Click here to check the latest prices for the Explorers Hotel. During our visit to Disneyland Paris we stayed at the Holiday Inn Paris – Marne La Vallee. The real bonus about staying at this hotel is that it is equal distant between Paris city centre and Disneyland Paris. If you are planning to visit Paris as well as the park during your break this hotel is a fantastic option. 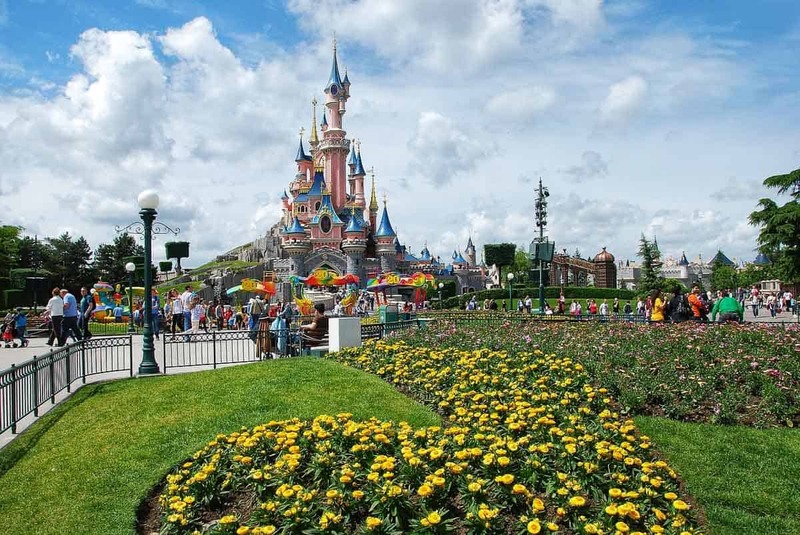 Firstly Holiday Inn are renowned for their family friendly offers and their ‘kids stay and eat free’ deal is perfect for planning a visit to Disneyland Paris on a budget. Also, Holiday Inn Paris – Marne La Vallee is just across the road from the train station which is perfect for travelling with kids. You will only be waiting a few minutes for a train which will take you right to the entrance of the park in about 20 minutes. The hotel itself is very comfortable and the staff are helpful and friendly. We would happily consider staying at this hotel again when we go back to Disneyland Paris, which having two young girls that love princesses is probably inevitable. Click here to check the latest prices for the Holiday Inn Paris. The Santa Fe is one of Disneyland Paris’s two budget hotels. 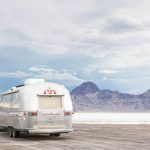 Don’t feel you have to blow the budget on a more expensive hotel to keep the kids happy because they will love the Santa Fe. It’s aimed primarily for kids with a Pixar Cars theme. The bedrooms have traffic cones as lamps, cars themed bedding and a warm cosy Mexican colour scheme. The family rooms are big! There is a large double, a sofa bed and a trunk bed so sleep 6 and there is two bathrooms! It’s a quick 15 minute walk to the park along the Rio Grande river or there are free regular shuttle buses. This is the perfect kid-friendly hotel at a decent price whilst still being in the Disney bubble. By no means is it luxury but kids usually couldn’t care less, it’s a fun, colourful and exciting hotel that your kids will love. 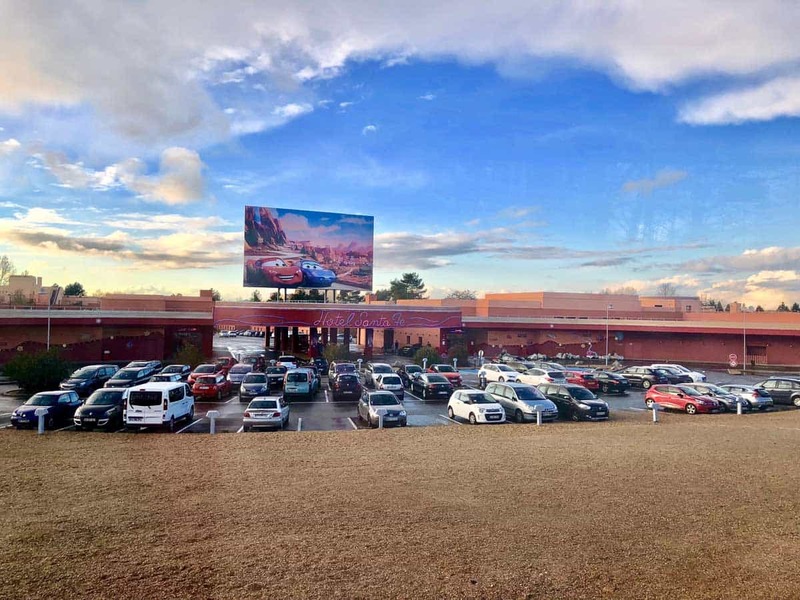 Click here to check the latest prices for the Santa Fe Hotel. I have never been a fan of theme parks, but my youngest one can’t get enough of it. We have been to Disneyland Paris several times and I think the best choice to stay Hotel New York. It’s not as expensive as the Disneyland Hotel at the entrance of the park and it’s a bit more comfortable than the 2 or 3 star hotels they offer. From Hotel New York you can walk to the entrance of the park in only 10 minutes. The staff are extremely friendly. 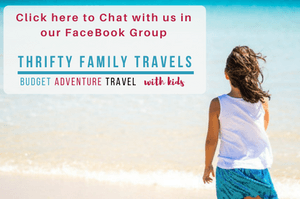 Your kids feel they are the special guests during this trip. Extra tip: try to go on a school day. I went on a day that our kids school was closed. No queues! How amazing is that! Click here to check the latest prices for Hotel New York. To save some money we have opted to stay not in a Disney hotel, but at Hipark by Adagio Serris Val D’ Europe which is a 3 star hotel close to the park. Whilst I can’t necessarily recommend the hotel as yet as we aren’t staying there until January 2019, I can tell you why I chose it. Hipark by Adagio Serris Val D’Europe is located 1.5 km from Disneyland and there is a free shuttle which takes you directly to Disneyland, so no need to to worry about transportation. 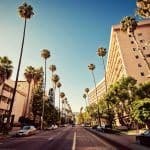 It’s also a 15 minute walk to the nearest train station and 5 minute walk to the shopping centre where you can buy various supplies to take to Disneyland. Hotel rooms include everything you need such as WI-FI, TV and air conditioning. They even have 1 and 2 bedroom apartments which are perfect for families and also allow you to make your own meals. The hotel itself has a heated pool, sauna and fitness centre. Click here to check the latest prices for Hipark by Adagio Serris Val D’Europe.